The IndustryNewsletters platform comes equipped with the tools you need to message, track and manage leads. We give you the ability to quickly and easily connect with readers who respond to your newsletter content. 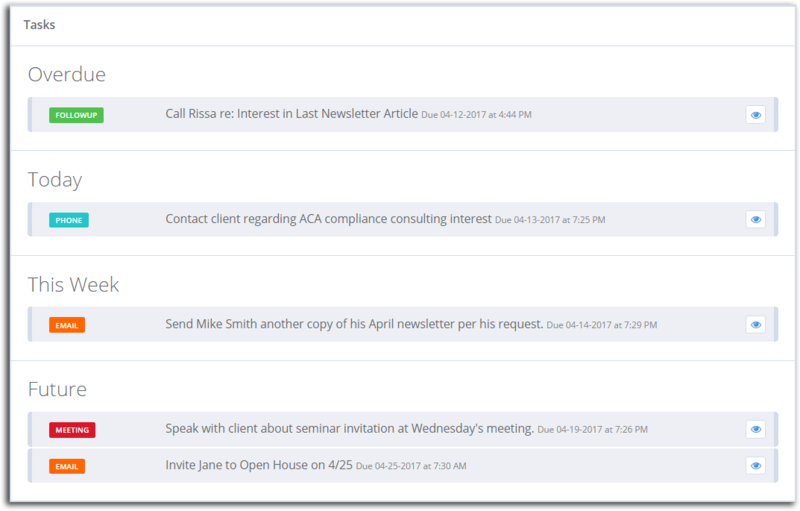 When you access your member records, you can not only view their click activity, but you can also create follow up messages and track correspondence with your leads right from within the member list of your IndustryNewsletters Dashboard. We take a deeper dive into your reporting to tie all your email metrics to your individual subscribers. 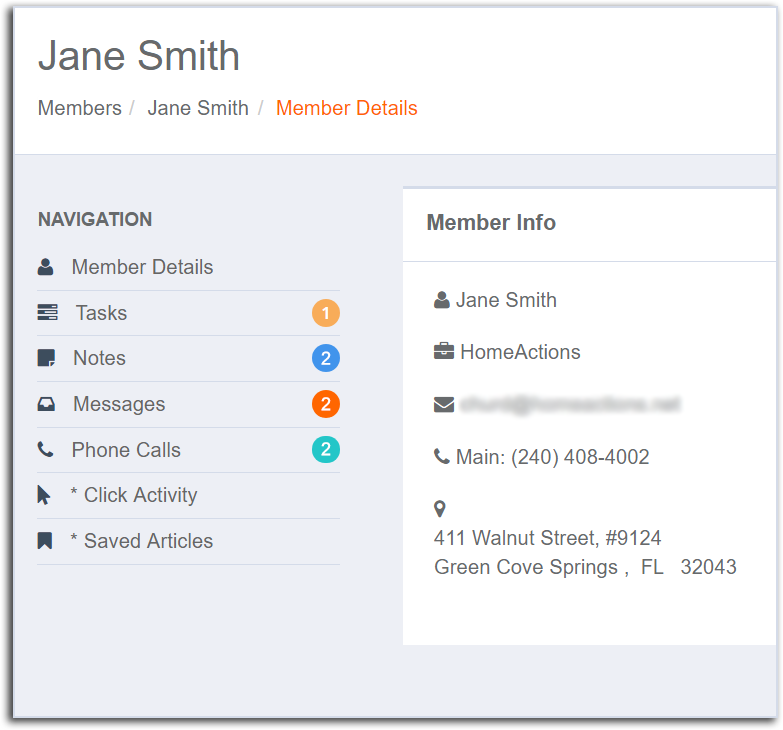 When you access your member records, you can not only view their click activity, but you can also create follow up messages and track correspondence with your leads right from within the member list of your IndustryNewsletters Dashboard. The IndustryNewsletters database is connected to every interaction generated by your newsletter. Our platform can drill down and give you the click activity associated with each member of your database. 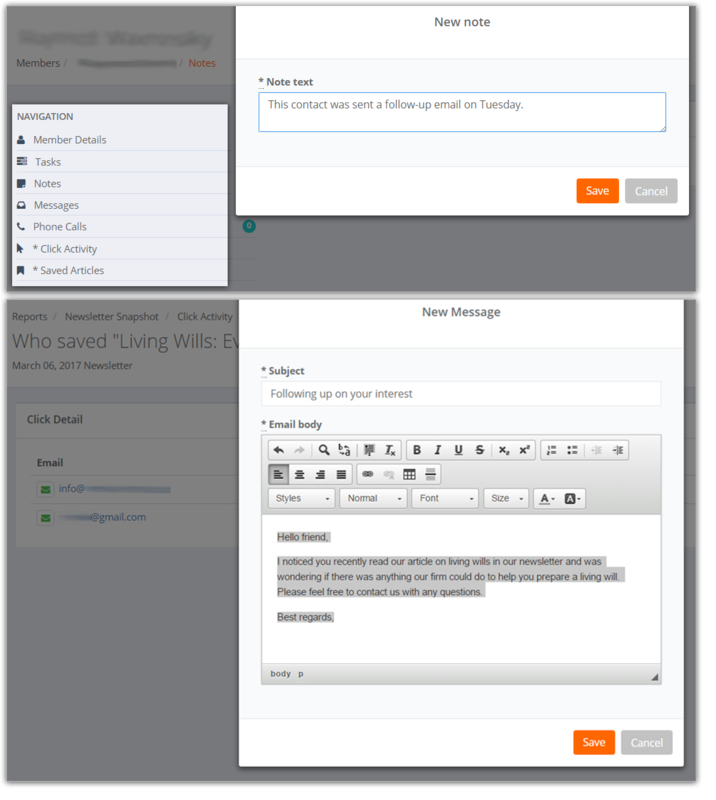 You can quickly and easily message or call newsletter readers and track those touch-points using our Mini-CRM tools, all from within your email marketing platform. Your IndustryNewsletters Dashboard gives you a quick overview of all your lead generation and customer relationship management tasks. Here you can track and manage your business relationships, and the marketing data associated with them, from one centralized platform.